An Egyptair flight with 66 people on board crashed while en route from Paris to Cairo on Thursday, the French president confirmed. Flight MS804 left Charles de Gaulle Airport at 11:09 p.m. Paris time (5:09 p.m. 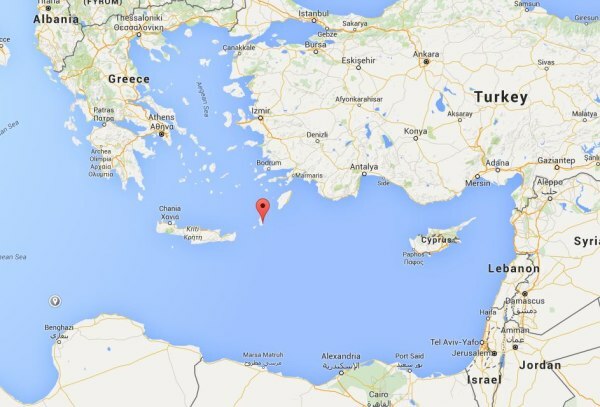 ET) and vanished over the Mediterranean Sea. "No hypothesis can be ruled out," he said. Almost immediately after entering Egyptian airspace the plane swerved sharply and then lost altitude before it dropped off radar, Greece's Defense Minister Panos Kammenos told a press conference. 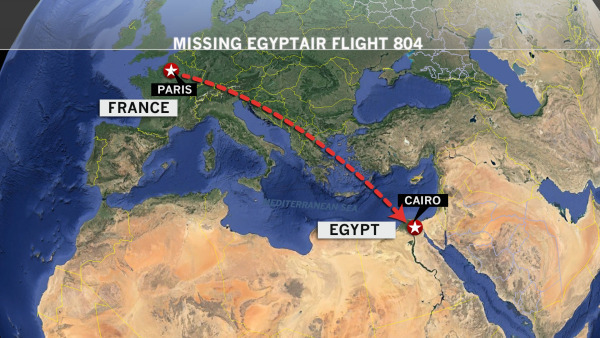 When the plane vanished it was about 175 miles away from Egypt's coast, according to officials. There were 56 passengers — including three children — along with seven crew and three "security" personnel on board the Airbus A320, Egyptair said. The airline initially had said a total of 69 people were on board but later revised the figure. Airbus — the maker of the plane — said in a statement that it regretted to confirm that "an A320 operated by Egyptair was lost" over the Mediterranean Sea. French and Egyptian officials stressed they were closely cooperating to determine what caused the crash. Radar showed no adverse weather in the area at the time of the jet's disappearance. Two helicopters also were on standby on Karpathos, Greek Cmdr. 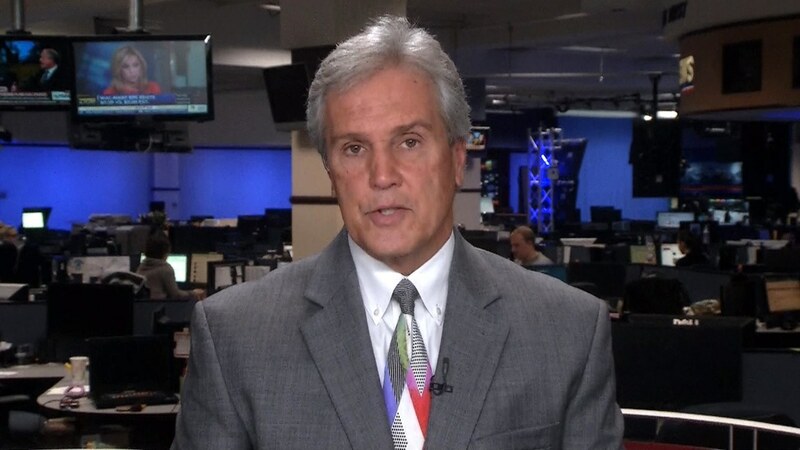 Vasilios Beletsiotis told NBC News. The U.S. Navy confirmed that — at the request of the Greek government — a Navy P-3 aircraft would soon be joining the search. 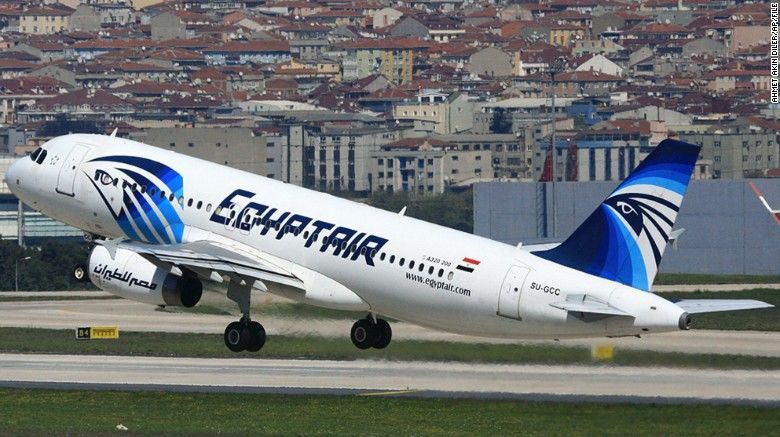 "THE CURRENT INDICATIONS ARE LEANING TOWARD SOME SORT OF ABRUPT INCIDENT AS OPPOSED TO SOME SORT OF GRADUAL MALFUNCTION"
Egyptair said the flight was carrying 30 Egyptian nationals along with citizens from 11 other countries — including Canada, France, the U.K., Belgium and Iraq. Britain's Foreign Office told NBC News it was "in urgent contact with local authorities in Paris and Cairo" and the French Ministry of Foreign Affairs opened a crisis hotline. Greek air traffic controllers had a normal interaction with the Egyptair pilot as he flew above the island of Kea, according to the head of the country's civil aviation authority. Kostas Lyntzerikos told NBC News the plane exited Greek airspace at 3:26 a.m. local time (8:26 p.m. ET) and disappeared from radar screens two minutes later — at which point controllers notified Egyptian authorities. The Paris prosecutor's office confirmed it had opened an investigation into the incident. France's aviation authority, the BEA, said it was in contact with Egyptian authorities and participating in the investigation into what happened. The U.K. Air Accidents Investigation Branch, meanwhile, said it had offered to assist Egypt's authorities with the investigation. Airbus said the plane in question was made in 2003 and delivered to Egyptair in 2008, adding that the aircraft had accumulated around 48,000 flight hours. "At this time no further factual information is available," the company said in a statement. "Our concerns go to all those affected." According to Egyptair, the pilot of the missing plane had 6,275 flying hours, while the co-pilot had 2,766. Authorities stressed the need to protect relatives of the passengers amid the ongoing investigation. France's Foreign Minister Jean-Marc Ayrault met with families of the Egyptair passengers who had gathered at the Paris airport and told reporters there it was clearly an emotional time. He urged a halt to speculation on what happened to the plane out of respect for the families, saying that supporting them was the first "priority." 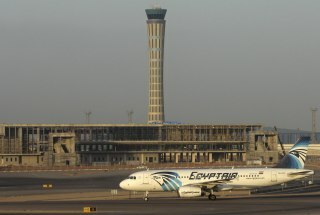 Families of passengers also gathered at the Cairo airport, with The Associated Press reporting that doctors were brought to the scene after several distressed relatives collapsed. 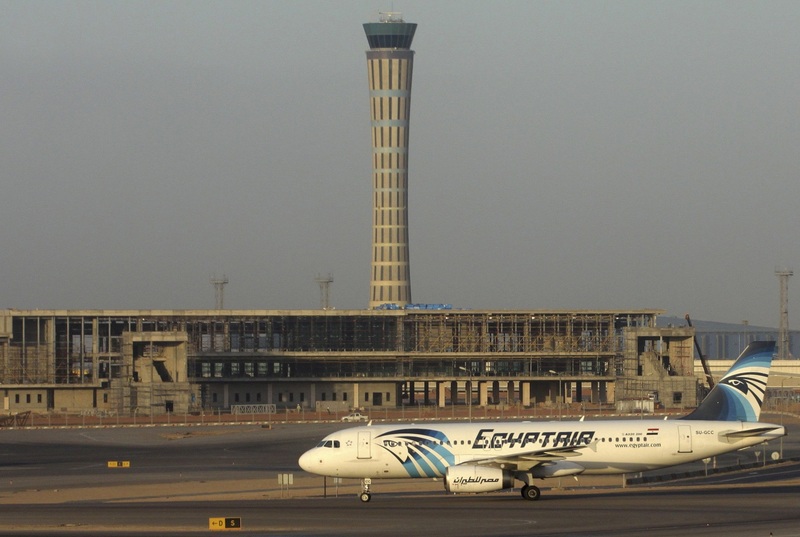 While there was no immediate indication of whether terrorism was involved, Egyptian aviation security has been under scrutiny since a passenger jet crashed after taking off from the country's Sharm el-Sheikh airport in October. 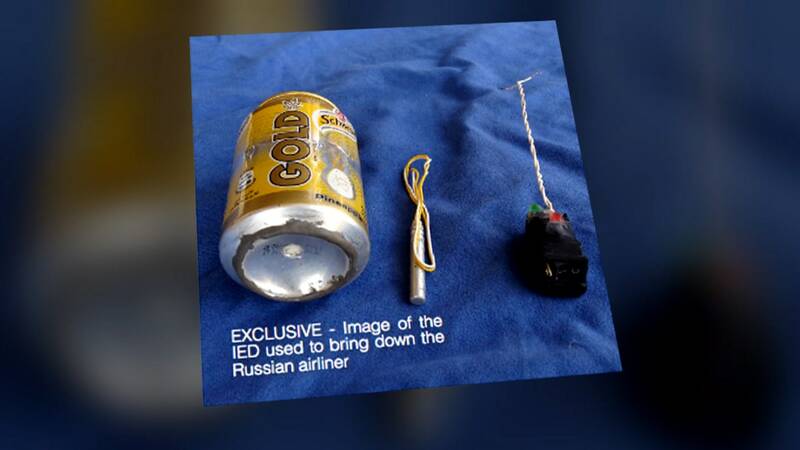 ISIS claimed responsibility for downing the Metrojet plane and the tragedy raised questions about how any potential explosives may have made it on board and whether there were security failings on Egypt's end. Analysts were cautious about speculating on the cause of the flight's disappearance but said terrorism cannot be ruled out. 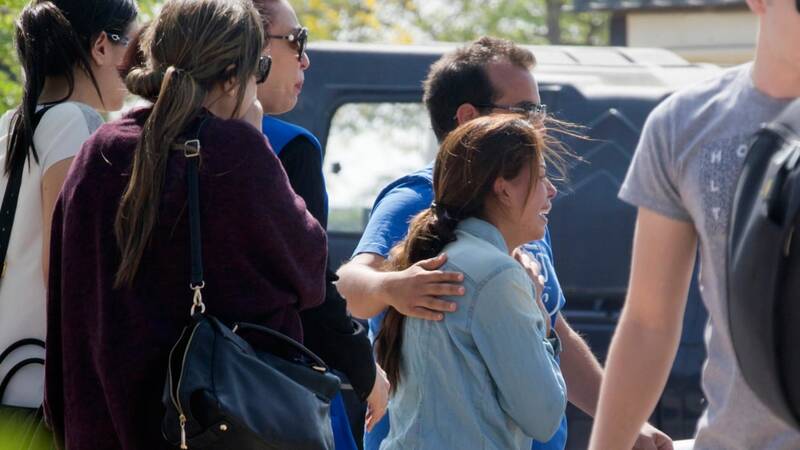 "The current indications are leaning toward some sort of abrupt incident as opposed to some sort of gradual malfunction," said Daniel Nisman, a security analyst at the Levantine Group. Nisman pointed to the altitude of the plane — which he said suggested there had not been an attempt to descend due to, say, a loss of cabin pressure or engine failure. "It doesn't exhibit the normal features of something accidental," he said. "Nothing should be ruled out — but that also means that malicious intent shouldn't be ruled out either." "If — and totally if — it was malicious intent then it could be that it was done in order to send some sort of a message," Nisman added, noting that Egypt has been a focus in ISIS propaganda. Pointing to the Metrojet crash, Nisman noted that "you also have precedent, unfortunately" for Egypt being a target. Still, he said that if a security lapse was to blame then it's "not necessarily" Egypt's fault — "it could mean a security lapse in Europe — which is not good," Nisman said.